“The sixth annual Cherry Blast: Art + Music Dance Party is Saturday, March 29 from 7:00pm-midnight at BLIND WHINO: SW Arts Club, a dedicated art space in Southwest Washington, DC (734 1st Street, SW). 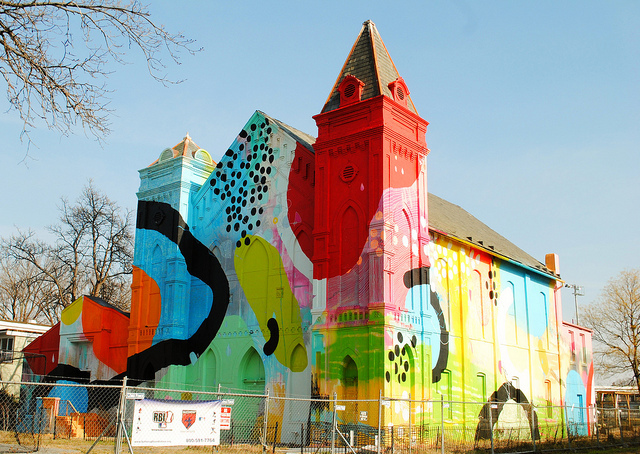 Blind Whino, formerly a church, is now a contemporary dedicated art space – the perfect setting for this multimedia, multisensory event. The National Cherry Blossom Festival partners with Art Whino for visual programming throughout the night. Art Whino curates a massive group art show featuring over 300 cherry blossom-inspired pieces, all available for purchase. A special Washington Project for the Arts exhibit showcases work inspired by the Festival. The microWave project curates 3-D art installations artists throughout the space. Performance artists, bands, and DJs keep the party going into the night.